There is no shortage of advice for this game. The mailbox is a limitless supply of surprises. 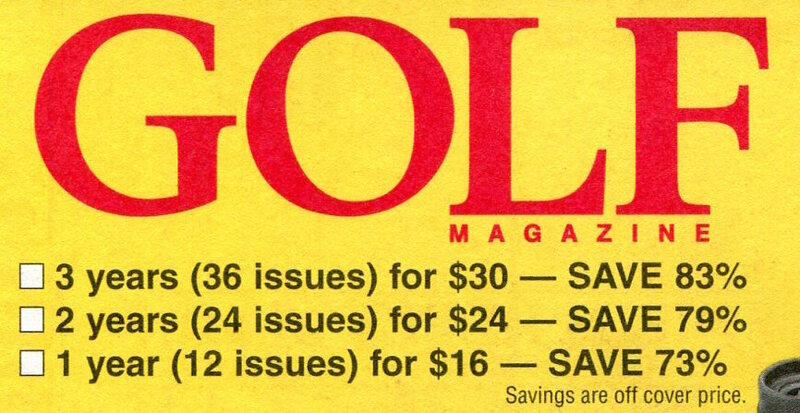 Today, it presented a special offer from Golf Magazine, one that I could not refuse. In direct mail, there are offers, but more important, there are deals, and Golf’s latest was a doozy. This simple envelope expressed a blunt sentiment: ONE TIME ONLY! Does that sound like something your parents would have said? How about Golf’s business manager, in response to the giddily optimistic circulation manager who came up with the crazy deal? 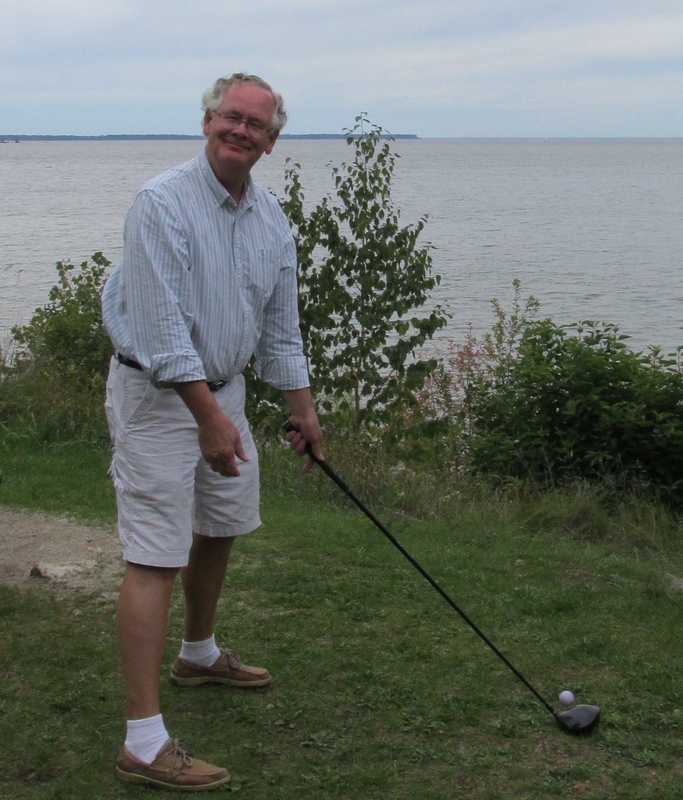 Half a year in the upper midwest is golf-free, so why not? This was in fact a renewal letter. 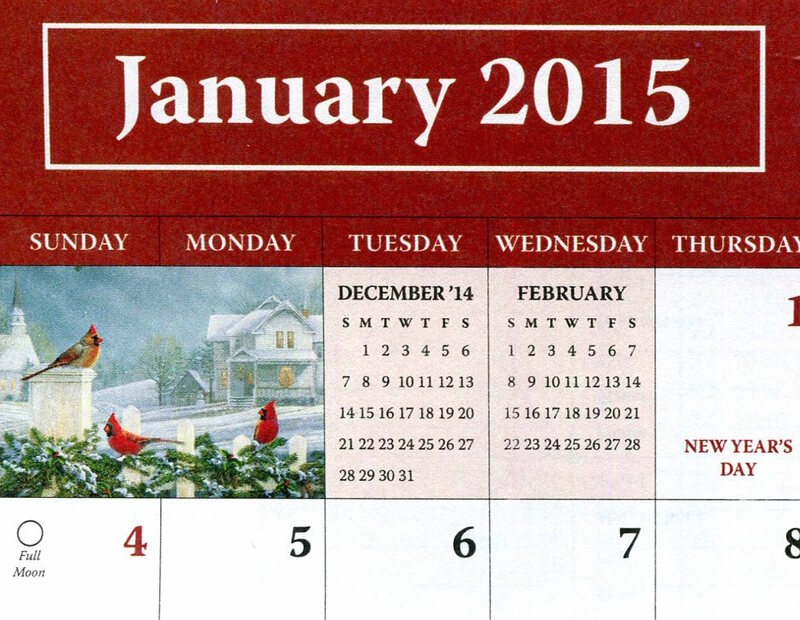 An advance renewal, 5 months out from April 2015, which is the last issue date. 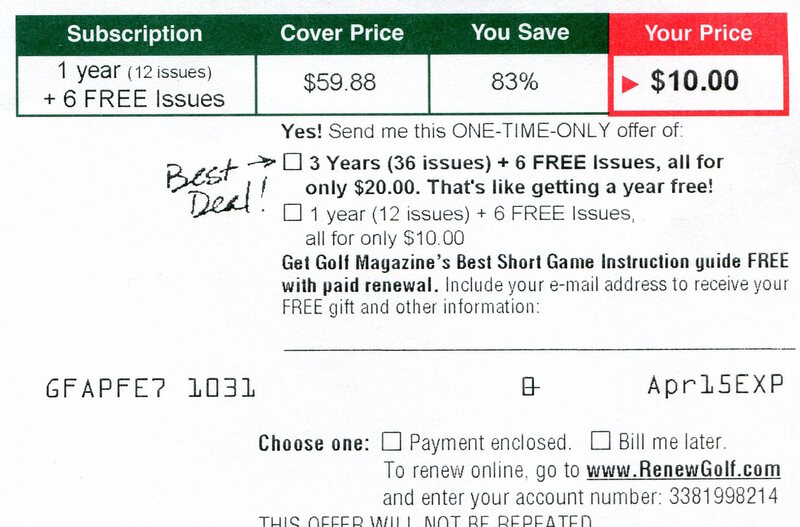 So here’s the deal: 12 issues for a year, PLUS six more issues, for $10. Basically 63 cents an issue. Digging through my recycle bin, I found a September Golf blow-in card offering 12 issues for $16. That’s 75 cents each. Relax, there’s always a better deal coming. At this juncture, one could decide to defer, just because, who knows, golf may never occur again on the planet due to snow, so what’s the point? But then the real deal emerges. 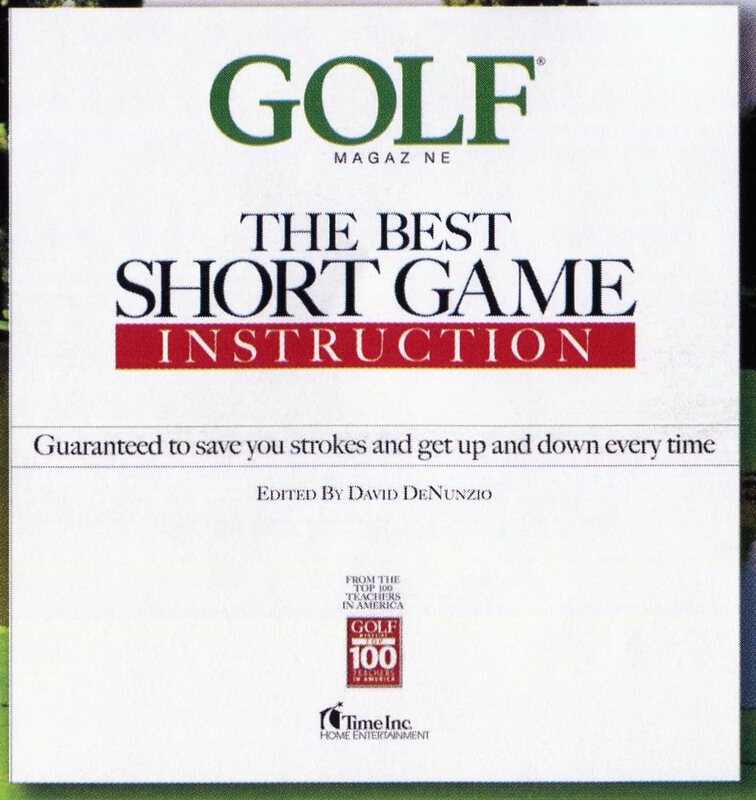 In addition to the 6 free issues, the renewal also came with a 90-page expert guide: “The Best SHORT GAME Instruction”. Downloadable with paid order. Sweet! Lining up the three wood for a water hazard. Let me perambulate for a moment to say that I play the short game very well. I can shoot a 56, +/- 2 strokes in 9 holes consistently. I don’t need to play 18 holes to break 72. I can do it in 12, no sweat. But maybe the book could offer some consolatory advice. The question we should ask, is how can Golf make any money giving away the magazine almost for free? The circulation director shuddered with this deal. 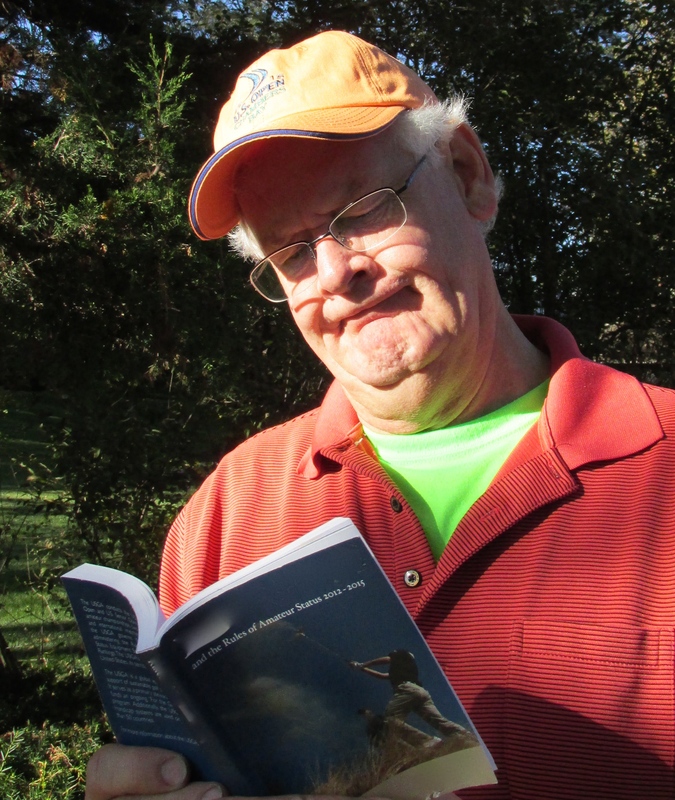 As it turns out, Golf needs me as much as I need their Instruction book. You see, they promise to their advertisers to deliver 1,400,000 magazines a month to avid readers like me. Looking at Golf’s 2013 rate card, one will find that a full-page color ad goes for $207,100. That’s about the price of a house trailer in Fort Myers. There are lots of angles in buying ad space, but at the end of the day, a 125-page Golf Magazine carries about 40 pages of color ads, generating $8,300,000 in sales. About $5.92 per reader. The essential irresistible offer: FREE advice. 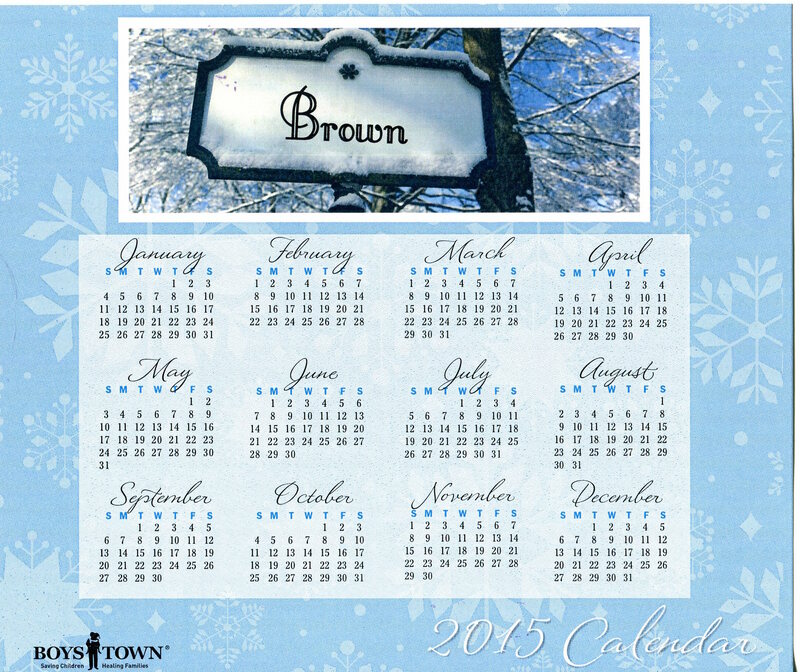 The magazine may cost as much as $2 to print and mail, so that leaves nearly $4 left to create, write and photograph. Should be enough! And what about my $10? Where does that go? Well, assuming they wrote to 120,000 subscribers with an April 2015 end-date, their mailing cost is about a dollar each, all in. $120,000. Odds are, about 15,000 may renew, which is $150,000 to cover the mailing with something left over for the gent who wrote the SHORT GAME guide. So that excited Circ manager maybe isn’t so crazy after all. Now we’ll see if the guide can make my game any shorter. Thanks for following the math on this. If you have any tips on improving my game, just write! 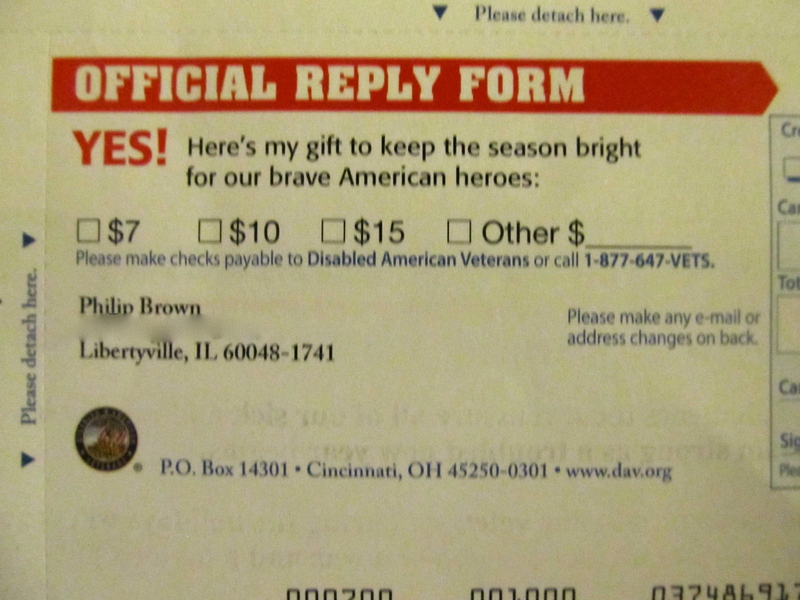 I just received a mailing from the Disabled American Veterans, whose organization I frequently support. The mailing piece is illustrative of the investment DAV makes to raise money for their many services provided to America’s injured war vets. 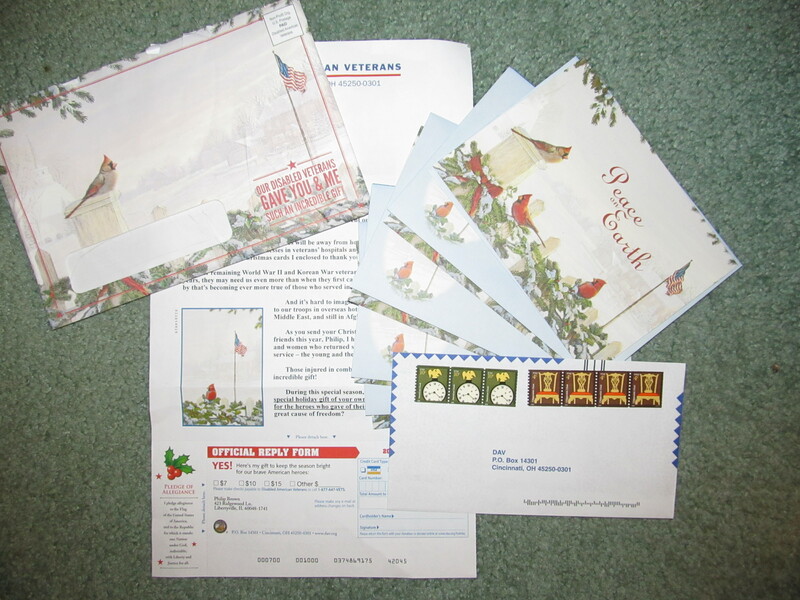 If you have never received a DAV piece, you have not seen the abundance of gift stuff frequently mailed to potential as well as loyal donors: greeting card sets, bookmarks, calendars, and beautifully crafted address labels. There’s nothing “junky” about a DAV appeal letter. What struck me about this recent letter was the inclusion of a reply envelope which was already paid with 46-cents of stamps. 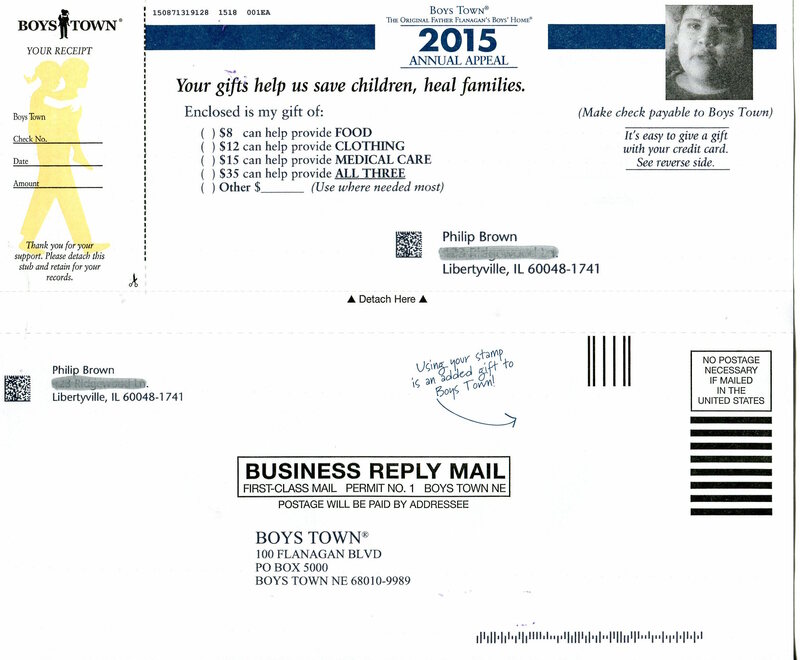 Claiming austerity, most fundraisers ask you to provide your own postage. Instead, DAV pays the bill. Does it seem contradictory to you? Or does it make perfect sense? 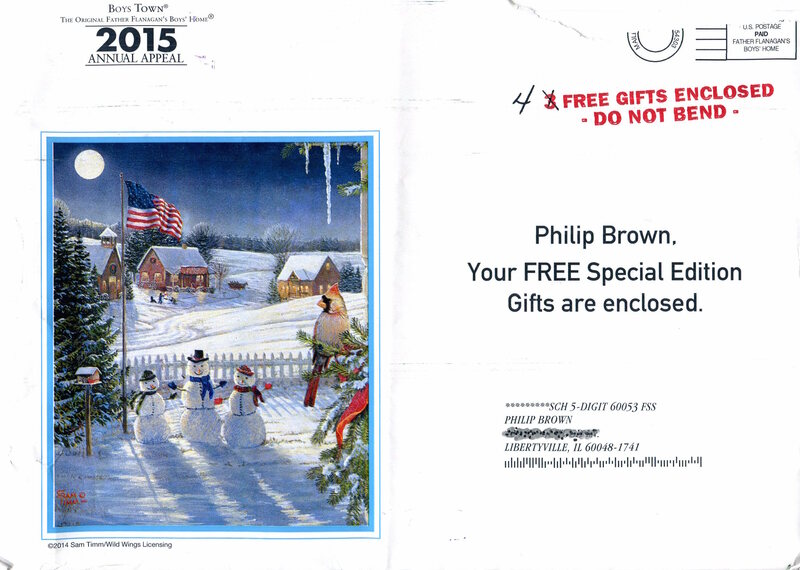 My guess is that providing the postage is a tactic to increase response, not necessarily the gift amount. In other words, if a donor normally gives $10, the prepaid return postage tactic doesn’t get more dollars per donor, but it gets more donors: those folks who won’t allow 46 cents to go to waste. And it’s unlikely many stamps get steamed off. But here is where it gets interesting: what direct mail manager is willing to put their job on the line by suggesting they add 46 cents to the cost of every fundraising letter they send out the door. “Are you nuts, or just plain stupid? ?” suggests their boss, popping TUMS once a minute. “Riskophilic” may be the proper term. Daring. Or canny. A little bit of math may reveal the truth. You can look at DAV’s 2012 annual report which shows some numbers worth bragging about. They earned $97 million in direct mail donations at a cost of $32 million. 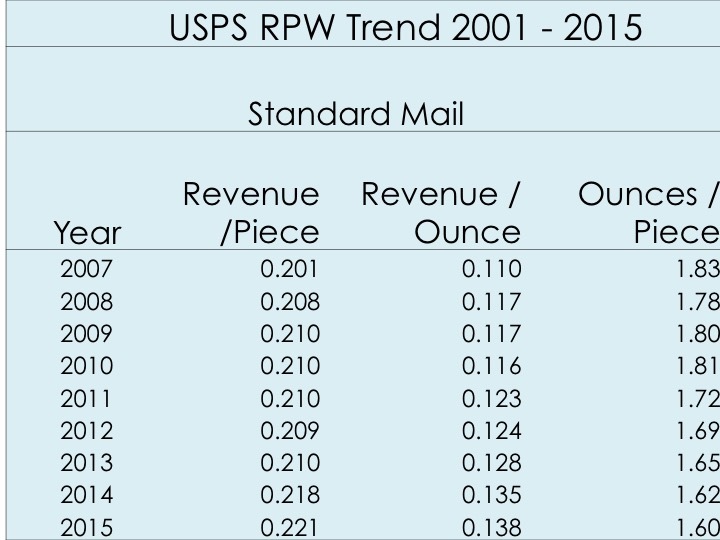 Basically, for every dollar spent in direct mail they received 3 dollars in return. The 3:1 ratio is pretty consistent every year, and by the way, their fundraising cost is only 19% of all their expenses, which is quite acceptable. Anyway. The letter I received had 5 Christmas cards and envelopes, a disclosure sheet, a letter, outer envelope and reply envelope. With outgoing postage, I figure the kit was worth 75 cents in the mail. $750/m. Add an additional 46 cents, and you are at $1.21 for one piece of mail. Multiply that by 100,000 and you have college tuition at Northwestern. However: increase your cost by 60% and you need to increase revenues by 60%, to keep that 3:1 ratio. Sounds challenging? Just about miraculous is how I would define it. You don’t get swings like that. 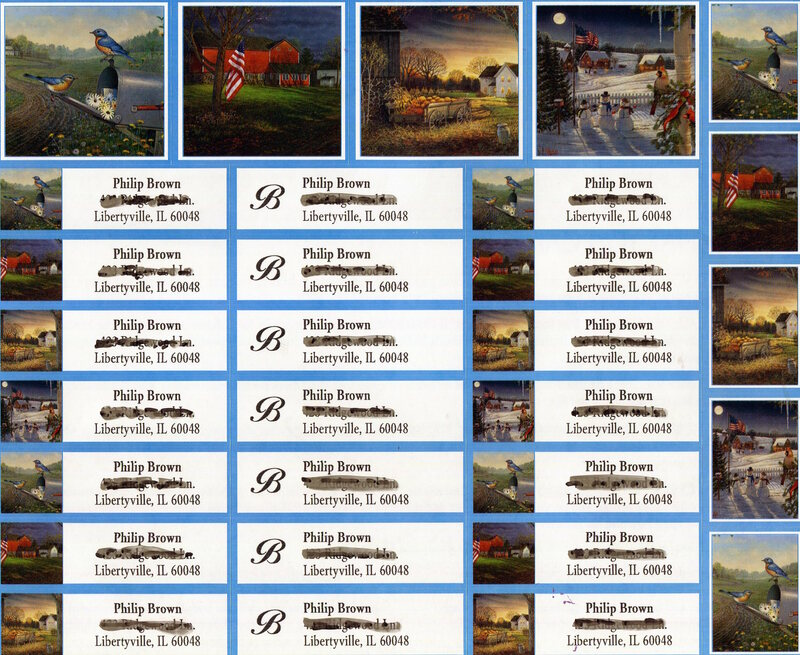 But the beauty of direct mail is that you can test it both ways, with and without the extra stamps. 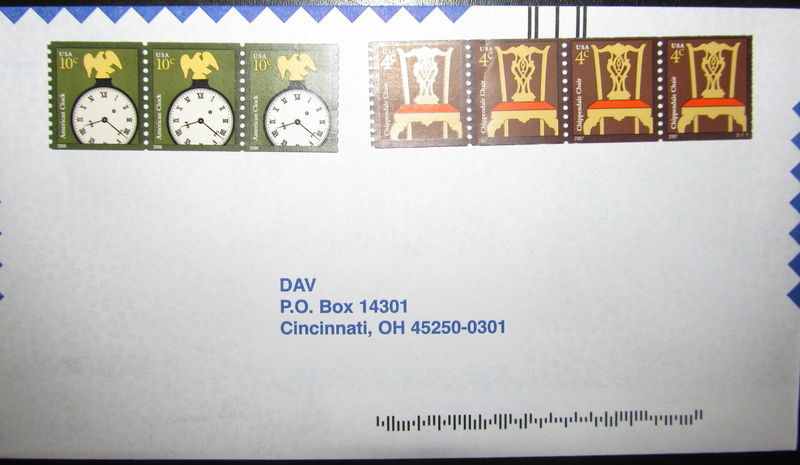 Clearly, the test proved positive, in a good way, so the DAV is keeping the USPS afloat while making money for its vets. There’s more at work though. That crazy manager also has another equation in his or her head. 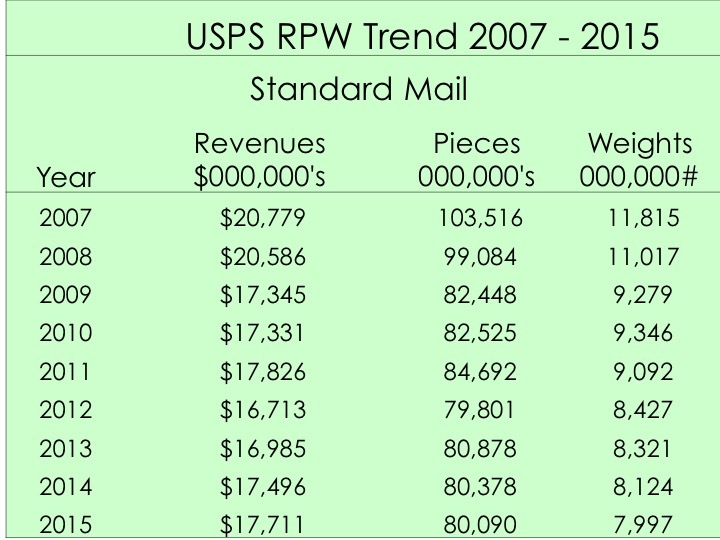 It answers the question: how much revenue with every piece mailed? If each piece costs $1.21, then each piece must earn $3.63 in donations. 3:1, right? But only if DAV gets 100% of the people to respond. What if only 15% of the people respond? Then a $3.63 donation won’t cover the ratio. 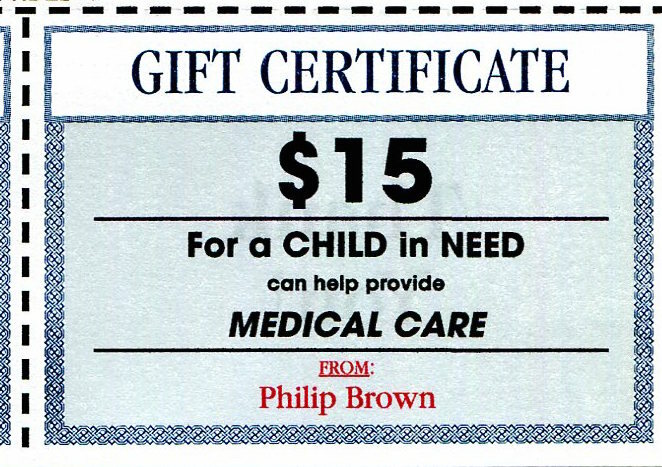 Now the gift changes, and here’s the revealing equation: $3.63 divided by 15% response. $3.63/15% = $24.20. The average donation must be $24.20. The “ask” starts at $7.00. Hmmm. 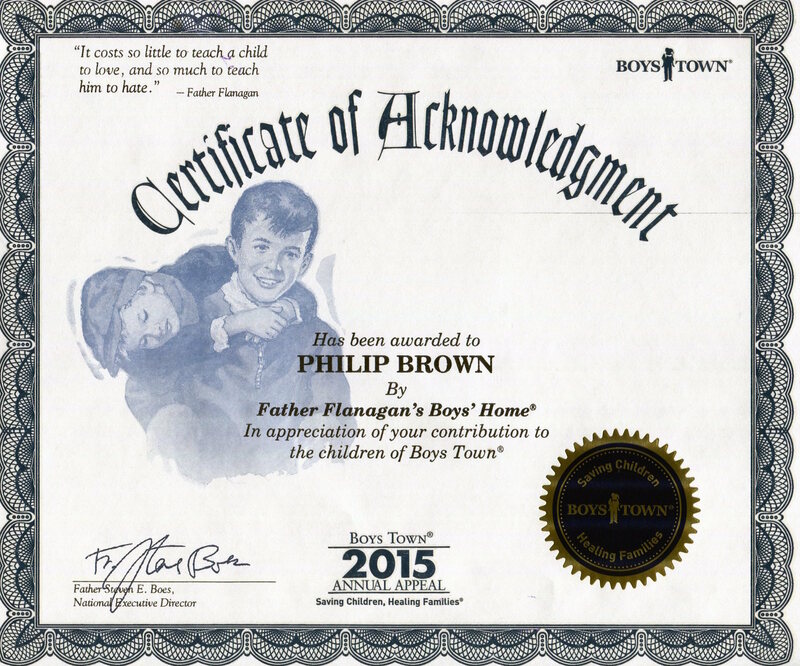 Look at the donation form on the letter. DAV is asking for “$7… $10… $15… or more”. Whoa! What if everyone just gives $7 dollars? Well, again, this is what gets tested, and DAV is pretty confident that a $7 gift is acceptable. 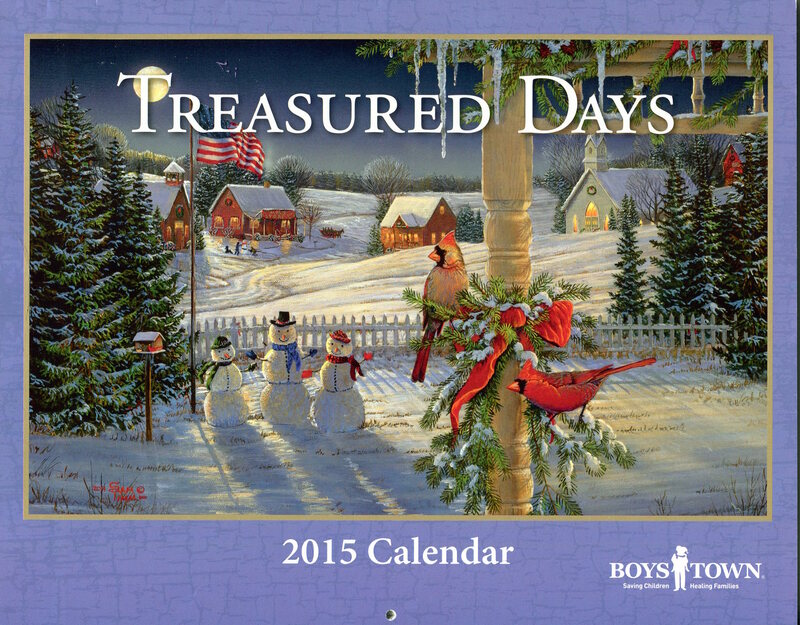 My hunch is that if each gift is at least $7.00, DAV just about breaks even. How’s that figured? Well, divide the piece cost by 15% response. $1.21/15% = $8.07 average gift required to break even. $7.00 is close. Fortunately, my bet is that people give a lot more. Without having any direct knowledge of DAV’s results, I can only guess that the scenario is something like what I have described. And if it is anywhere close, DAV has some very good writers, and some very generous donors. And some very deserving vets. A salute to all of them!